Krizbeatz started music production professionally in 2014, in 2015 he got a decent exposure working with Jahbless on his 3rd studio album "I Am Me" Krizbeatz produced the biggest song on the album Owambe, which gave him an edge to network in the industry thereby working with the likes of Olamide, Reminisce, to mention a few fast forward to 2016, he produced 2 of the Biggest Afrobeat songs of all time, Pana and Diana by Tekno. Krizbeatz catalogues is growing by day with hits, like Shele Gan by Lil Kesh, Temper by Skales, Bokiniyen by Koker. He is working on his producer's Ep with various artistes due out soon titled "King Of New Wave" as hes fondly called as he successfully changed African sound with Pana by Tekno. 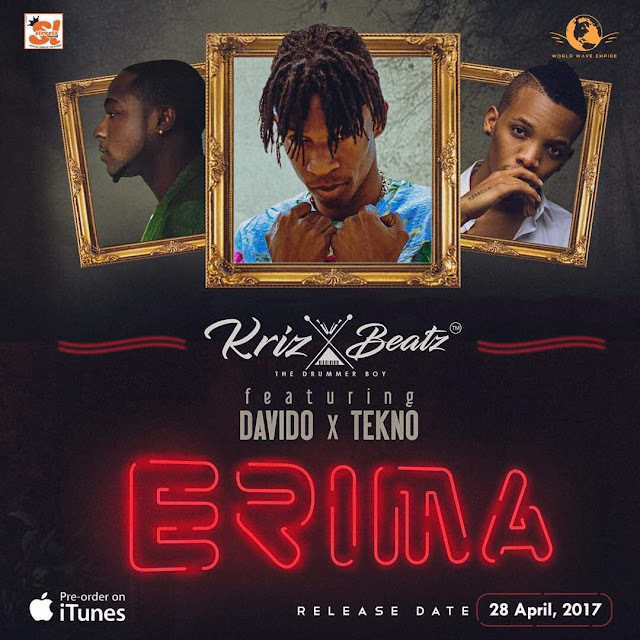 Here is a single off the soon to be released Ep, titled Erima featuring Tekno and Davido.